"When the foundation is solid, then you can build and grow"
This week we focused on the value, naʻau pono, to nurture a deep sense of justice. A solid foundation is essential in enabling us to have the strength and fortitude to make the just and right choice, to take that pono path. During piko I asked the student to stand on one foot as we repeated this ʻolelo noeʻau and itʻs meaning. As I wobbled along with the rest of the students on one foot we discussed the importance of having a solid foundation to make pono choices. After a few seconds of standing on one foot, I said to put both feet down, to create that paʻa stance. When the winds of change and challenge arise, when we are solid, or paʻa in our foundation nothing can blow us over. We take the first trimester each year to explore the question ʻO Wai Laʻ, "Who am I?" to gain a deeper understanding of our individual families as well as to gain a stronger cultural foundation. 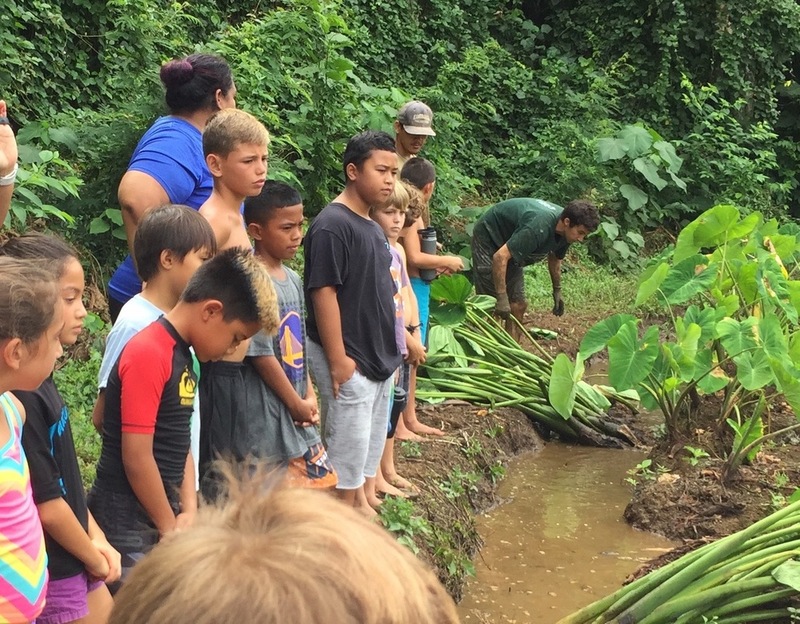 Learning about each other, the place and space of Waimānalo allows us to connect with our ʻaina, each other, and the reasons why we choose to live the values of mālama honua. When the winds of change and waves of challenge are upon us, we hope that we have helped our keiki to have a solid foundation upon which they can build their lives and make the pono choices when they arise.